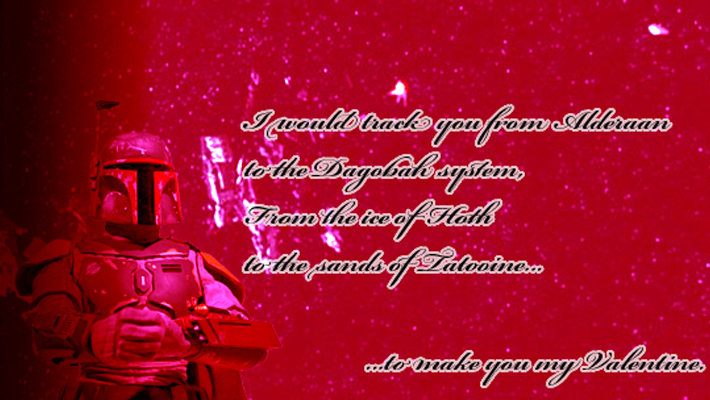 It’s been far too long since there was an update at Something Awful’s Star Wars Valentines, so with the help of some last minute brainstorming, we came up with two that you can send to the Alderaanian geeks in your life. There is much rage in this padawan’s heart. The rage… of love. Boba Fett: bounty hunter…of your heart. More will come as they are made, or sent in! Who said tauntauns aren’t easy?